Smiling Science: your first impression of a face. Why do you need to smile and look bit happy to make a likeable first impression? 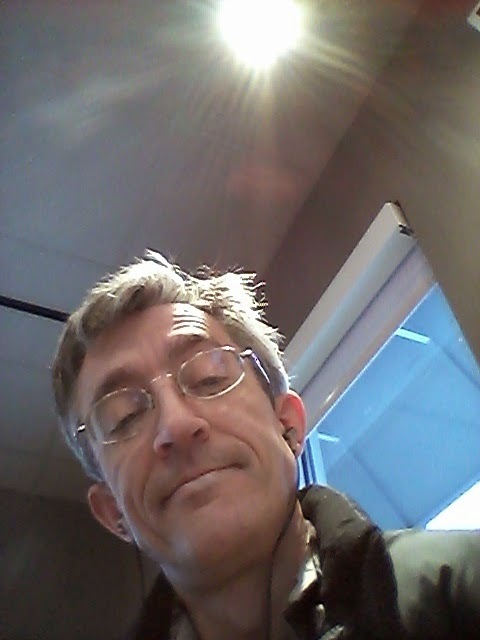 Hey I have a smile on my Facebook page and here in this Tim Hortons coffee shop even though I am reading about Tyrosine kinase mechanisms. Find out the answer on Science Friday. We listened to @SciFri Science Friday this week and do every Friday in the Mitton lab and PRRL. 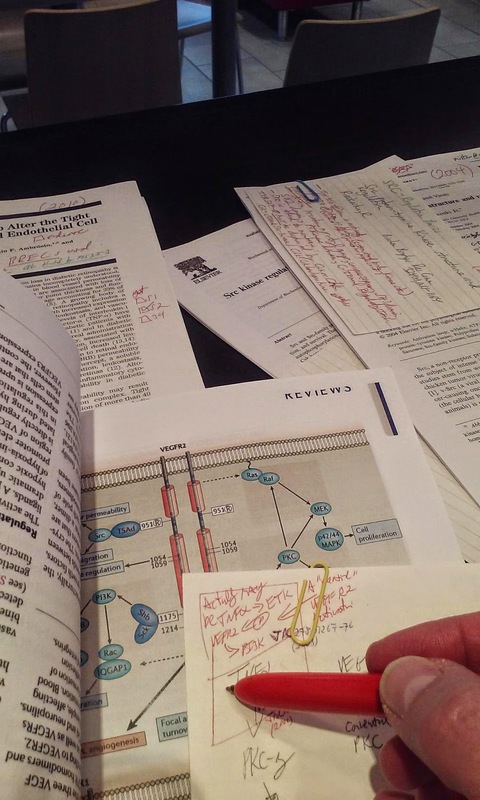 Its mandatory radio education if you want to hang with this gene man and do research. Ask Austen, OU/WB Med-1 researcher. She set up her TNF alpha gene expression assays of human retinal endothelial cells on our Science Friday lab bench. On its top shelf is my old boombox tuned to NPR. Its older than Austen! Listen to Ira Flato on NPR. Making laws for drones and robots, a look at next-gen payment systems, how circadian rhythms affect sports performance, and a video about face judgments. Was Made in USA. Paul Revere rides again, in Indonesia? 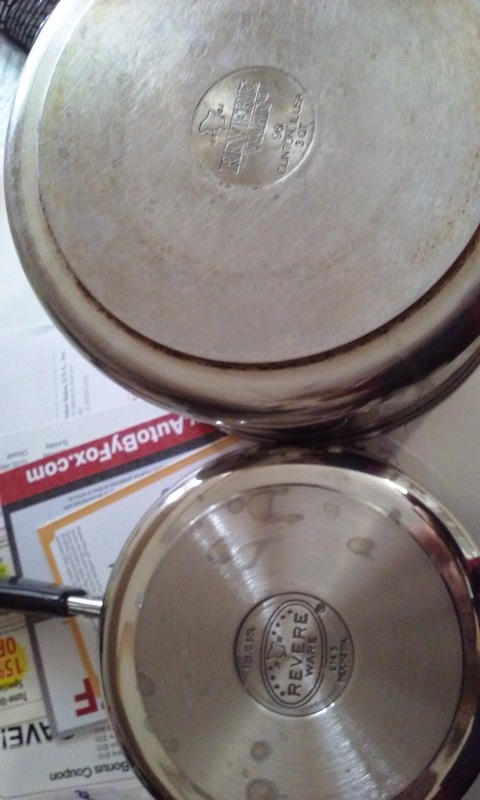 The older cooking pot in this picture (top) was purchased in Blacksburg Virginia. We were just married and I was working in my first post-doc at Virginia Tech, Biochemistry Department. My wife was working in the VTech-Bookstore and our first child would soon be on the way. These Revere Ware pots and pans are 20 years old and made in USA. At least the bigger one is. One of my Daughters recently cooked the smallest Revere Ware pot to warped status and then discovered why a pot needs to contain some liquid when on a red-hot burner. My wife and I were reminiscent of buying these for a moment, then she found a new replacement on Amazon from Revere Ware. They are good kitchen ware. Never a broken handle or lid. Served us well in Virginia, Maryland and Michigan. I just noticed this new pot (bottom of picture) is made in Indonesia, and no longer made in Clinton Illinois USA. To me that is sadder than losing the original pot. Same design, but i can see some poorly ground seams on the edge of the thin cap base-plate, facing up in this pic. Those seams are invisible on the older pot. No doubt heating, use, and liquid exposures will start to separate this new pot's base-plate in a few years at most, and this one will never last 20 years. Did it really need be made outside of the USA to avoid paying American workers a living wage and benefits? Do you think we are not willing to spend a few more bucks for pots that will last 25 years or more rather than a few? If you think so, manufacturers of America, then I think you are wrong in your thinking. How is this most valuable startup doing its fast penetration into a competitive market for smartphones? I suspect its main secret is not simply high function at a good price because that exists already. I myself just moved to an Android powered LG Tribute phone that is fast and running the latest version of the Android OS. It was on sale for $39 at Virgin Mobile. What is Xiaomi also doing?